With the world abuzz about the upcoming Beatles remasters, another musical legend will soon be receiving the deluxe reissue treatment: Jimi Hendrix. Sony Music Entertainment and Experience Hendrix LLC have entered into an agreement that will result in an array of 'deluxe' reissues of the legendary guitarist's extensive catalogue. Among the planned releases by Legacy Recordings, Sony's catalogue music division, are expanded editions of the classics released during Jimi's brief career, including Are You Experienced?, Axis: Bold As Love, Electric Ladyland and (outside the US) Band Of Gypsys. It is said that these releases will include never-before-heard recordings. In addition, Sony will be issuing a series of filmed concerts. "Jimi's legacy and vision were unique and there will never be another that reaches his unparalleled genius," said Janie Hendrix, President and CEO of Experience Hendrix, in a statement. "He was the greatest guitarist ever. We are confident that our new relationship with Sony Music will honor my beloved brother's legacy and will deliver Jimi's special 'Message Of Love' across the globe." "No artist has ever transformed the pop music landscape as profoundly or as permanently as Jimi Hendrix," said Adam Block, Senior Vice President and General Manager of Legacy Recordings. 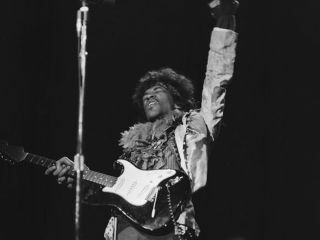 "We are proud to be partnering with Experience Hendrix, keeping the sound and spirit of Jimi's music alive for future generations around the world." As of yet, there is no release date for the expanded reissues. Word is they will arrive sometime in 2010.